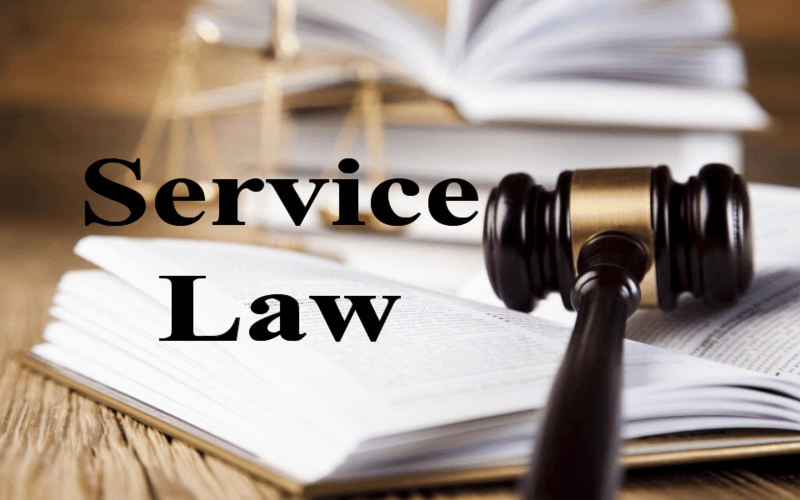 Service Law - Once the allowances and other benefits and facilities are allowed to teachers or any other employee, it cannot be withdrawn or reduced. Therefore, the question of recovery which was adopted by the Government goes against the principle of natural justice of law. For the reasons discussed above, we hereby direct the State respondents to return the recovered allowances which were paid earlier to the teachers and also to restore all the said allowances as enjoyed by the government college teachers from the date since it was stopped. We further also direct the State Government to give their increment and other benefits as and when it is due. With these observations and directions, the instant petition is allowed and stands disposed of. It is further directed that the whole exercise is to be completed within 45 (forty five) days from the date of this judgment and order. The UGC guidelines did not debar any person who is getting UGC Scales of pay from getting the State allowances also. Sudden withdrawal of allowances of the teachers/petitioners is really shocking and we find the decision of the Government is totally unjustified and arbitrary in nature and is against Article 14, 15, 39(d) of the Directive Principles of State Policy of the Constitution of India which is not at all appreciated and for which we express our extreme displeasure and anguish. Teachers are the backbone of the society and they need to be cared and respected by all. Delay and Laches - When the wrong is continuous or when it does not affect the rights of third parties, relief to be granted. 3. Whether the case of the petitioners is hit by the principle of delay and laches. Appearance: For the Petitioner/Appellant(s) : Mr. B.K.Sharma, Sr. Adv. with Mr. R.Mazumdar, Adv. For the Respondent(s) : Mr. A.Kumar, AG with Mr. H.Abraham, GA for R 1&2. Ms. B.Ghosh, Adv. for R 3-17 Dr. N.Mozika, CGC for R 18 & 19. 1. Heard Mr. B.K.Sharma, learned Sr. counsel assisted by Mr. R.Mazumdar, learned counsel on behalf of the petitioners-association as well as Mr. A.Kumar, learned Advocate General assisted by Mr. H.Abraham, GA on behalf of the respondents No. 1 & 2. Ms. B.Ghosh, learned counsel on behalf of the respondents No. 3-17 and Dr. N.Mozika, learned CGC on behalf of the respondents No. 18 & 19 are present but did not make any submission. "The petitioners have preferred the present writ application under Article 226 of the Constitution of India being aggrieved by the Illegal and abrupt decision of the respondent authorities to withdraw the House Rent Allowances, Medical Allowances, Hill Compensatory Allowances and Winter Allowances with regard to the teachers serving in the Deficit Colleges drawing UGC scales of pay with effect from 01.01.1996 without stating any valid reason and in furtherance of such withdrawal, had in fact effectuated recovery of the aforesaid allowances. The petitioners are praying for issue appropriate writ/order or directions directing the State respondents to allow the teaching staff of the deficit grant-in- aid colleges drawing UGC scales of pay the benefit of House Rent allowance, Medical allowance, Hill allowance, and Winter allowance as being made available to the employees of the State government forthwith and also reimburse the allowances which were recovered from the salary of such teaching staff." 3. Learned Sr. counsel on behalf of the petitioners (Meghalaya College Teachers Association & Another) had submitted that the petitioners are aggrieved by the unilateral decision of the Government of Meghalaya to stop payment of certain allowances all along being paid to the teachers of deficit grant-in-aid colleges. The allowances are House Rent Allowance, Medical Allowance, Hill Compensatory Allowance and Winter Allowance. Learned Sr. counsel further submits that before withdrawing/stopping the said allowances, the teachers were not given any notice. Hence, this instant writ petition. He also further submitted that all along the teachers were never discriminated against in the matter of those allowances irrespective of drawing the UGC scale of pay and they were all along paid the allowances at par with the State Government employees including teachers of Government Colleges, but things changed with the issuance of Notification No. EDN.136/98/80, dated 20th December, 1999 (Annexure-7 to the writ petition) by the Government of Meghalaya, Education Department. By the said Notification, the decision for adoption and implementation of UGC Scales of pay and other service conditions of the teachers was notified with effect from 01-01-1996. In the said Notification it was never spelt out that the aforesaid allowances would stand withdrawn. Per contra, the allowances were continued to be paid. He also further contended that when the petitioners agitated their grievances before the authority they were informed vide letter No.CE/MCTA/1/98/80, dated 24th March, 2001 (Annexure-8 to the writ petition) that the Government‟s decision in the matter was still awaited. It will be pertinent to mention here that along with the UGC Scale of pay, the teachers were allowed Central Dearness allowance. However, suddenly Government expressed their inability to extend the benefits of the State Government allowances vide letter No. CE/MCTA/1/98/123, dated 6th August, 2002 (Annexure-10 to the writ petition). In the meantime, the allowances which had been paid to the teachers after 01- 01-1996 were recovered from the salaries without any opportunity of being heard to the affected teachers for which the petitioners kept on agitating but to no avail. Learned Sr. counsel also submitted that vide Notification No. EDN.34/2009/91, dated 22nd March, 2010 (Annexure- 11 to the writ petition), the Government of Meghalaya once again extended revised UGC Scale of pay to the teachers along with Central Dearness Allowance but there was no mention regarding entitlement of other allowances mentioned above. He also submits that the petitioners made the representations but nothing positive came out till date. 4) (1975) 3 SCC 01 (Divisional Superintendent, Eastern Railway, Dinapur and Ors. Vrs. Shri L.N.Keshri and Ors.). 5) AIR 1994 SC 2480 (Bhagwan Shukla vs. Union of India and Ors). 5. In reply, learned Advocate General, Govt. of Meghalaya had submitted that the petitioners cannot approach the court as there was lots of delay and is hit by the principle of delay and laches. He further submits that since the teachers are getting UGC Scales of pay, they are not entitled for State allowances as prayed in the writ petition. (iii) whether the case of the petitioners is hit by the principle of delay and laches. "6. The Tribunal misdirected itself when it treated the appellant‟s claim as "one time action" meaning thereby that it was not a continuing wrong based on a recurring cause of action. The claim to be paid the correct salary computed on the basis of proper pay fixation, is a right which subsists during the entire tenure of service and can be exercised at the time of each payment of the salary when the employee is entitled to salary computed correctly in accordance with the rules. This right of a government servant to be paid the correct salary through his tenure according to computation made in accordance with the rules, is akin to the right of redemption which is an incident of a subsisting mortgage and subsists so long as the mortgage itself subsists, unless the equity of redemption is extinguished. It is settled that the right of redemption is of this kind. (See Thota China Subba Rao v. Mattapali Raju1)." After perusal of the said judgment, we are of the view that where the issue involved is about the correct salary, the right subsists during the entire tenure of service. "5. In Chaman Lal v. State of Haryana the question for consideration was whether teachers who started as basic trained teachers and later acquired the higher qualification would be entitled to higher scales of pay? This Court considered the recommendations of the Kothari Commission and different circulars of the State of Haryana and came to hold that those teachers who acquired the higher qualification would be entitled to the higher scales of pay as soon as they acquired the qualification irrespective of the date when they are adjusted against posts of Masters. In this case no doubt the appellants were teachers of a government school. The question of parity in pay scales between the teachers of a recognised aided school and the teachers of a government school, as in the present case, came up for consideration in the case of Haryana State Adhyapak Sangh v. State of Haryana. This Court came to the conclusion that the teachers of aided schools must be paid the same pay scale and dearness allowance as teachers in government schools for the entire period served by them and that the expenditure on that account should be apportioned between the State and the Management in the same proportion in which they share the burden of the existing emoluments of the teachers. The aforesaid decision of this Court was considered again by the three-Judge Bench in the case of Haryana State Adhyapak Sangh v. State of Haryana and by way of clarifying the earlier decision, this Court observed: (SCC p. 310, para 6) "These observations leave no scope for doubt that this Court has directed that the teachers of aided schools must be paid the same scales of pay and dearness allowance as teachers in government schools and that the said payment must be made for the entire period claimed by the appellants and the petitioners in this case." In para 12 of the judgment the Court issued the following directions: (SCC p. 315, para 12) "(i) The pay scales of the teachers of government-aided schools shall be revised so as to bring them on a par with the pay scales of teachers of government schools with effect from 1-4-1979 and the differential amount as a result of such revision in pay scales shall be paid in four six-monthly instalments, the first instalment being payable by 30-6-1990. (ii) The teachers of the government-aided schools shall be paid additional dearness allowance on the basis of the revised pay scales with effect from 1-4-1979 to 31- 12-1985 and the arrears of such additional dearness allowance found payable as a result of such revision shall be paid along with the last part of the five instalments of additional dearness allowance which is to be paid in September 1990. (iii) The parity in the pay scales and dearness allowance of teachers employed in aided schools and those employed in government schools shall be maintained and with that end in view the pay scales of teachers employed in government-aided schools shall be revised and brought on par with the pay scales and dearness allowance payable to the teachers employed in government schools with effect from a1-1-1986. (iv) As from 1-4-1990 the teachers employed in aided schools shall be paid the same salary and dearness allowance as is paid to teachers employed in government schools. (v) The arrears of pay and dearness allowance payable as a result of such revision for the period from 1- 1-1986 to 31-3-1990 shall be paid in four six-monthly instalments, the first such instalment being payable by 30-6-1990." After perusal of the judgment above, we are of the view that parity in employment of teachers in private aided schools/colleges and government schools/colleges are entitled to same benefits. "11. Although we have held that the petitioners were entitled only to the pay scale of Rs 330-480 in terms of the recommendations of the Third Pay Commission w.e.f. January 1, 1973 and only after the period of 10 years, they became entitled to the pay scale of Rs 330- 560 but as they have received the scale of Rs 330-560 since 1973 due to no fault of theirs and that scale is being reduced in the year 1984 with effect from January 1, 1973, it shall only be just and proper not to recover any excess amount which has already been paid to them. Accordingly, we direct that no steps should be taken to recover or to adjust any excess amount paid to the petitioners due to fault of the respondents, the petitioners being in no way responsible for the same." On perusal of the direction at paragraph 11 by the Hon‟ble Supreme Court, it is also clear to us that when any excess amount is paid to the petitioners when they are not in any fault that cannot be recovered. "6. The respondents were confirmed in the scale of Rs.110-180. The appellants having fixed the scale and confirmed the respondents could not reduce the scale without giving any opportunity to the respondents to be heard. Furthermore, the respondents on confirmation became entitled to rights to the post and to the scale of pay fixed by the Board." On perusal of the said judgment, it appears to us that once the salary or other allowances is granted to the petitioners, respondents has no right to withdraw or change it without giving proper opportunity of being heard. "3. We have heard learned counsel for the parties. That the petitioner‟s basic pay had been fixed since 1970 at Rs. 190/- p.m. is not disputed. There is also no dispute that the basic pay of the appellant was reduced to Rs. 181/- p.m. from Rs. 190/- p.m. in 1991 retrospectively w.e.f 18-12-1970. The appellant has obviously been visited with civil consequences but he had been granted no opportunity to show cause against the reduction of his basic pay. He was not even put on notice before his pay was reduced by the department and the order came to be made behind his back without following any procedure known to law. There, has, thus, been a flagrant violation of the principles of natural justice and the appellant has been made to suffer huge financial loss without being heard. Fair play in action warrants that no such order which has the effect of an employee suffering civil consequences should be passed without putting the concerned to notice and giving him a hearing in the matter. Since, that was not done, the order (memorandum) dated 25-7-1991, which was impugned before the tribunal could not certainly be sustained and the Central Administrative Tribunal fell in error in dismissing the petition of the appellant. The order of the Tribunal deserves to be set aside. We, accordingly, accept this appeal and set aside the order of the Central Administrative Tribunal dated 17-9-1993 as well as the order (memorandum) impugned before the Tribunal dated 25-7-1991 reducing the basic pay of the appellant from Rs. 190/- to Rs. 181/- w.e.f 18.12.1970." On perusal of the said judgment, it is understood that "when the appellant has obviously been visited with civil consequences but he had been granted no opportunity to show cause against the reduction of his basic pay. He was not even put on notice before his pay was reduced by the department and the order came to be made behind his back without following any procedure known to law. There, has, thus, been a flagrant violation of the principles of natural justice and the appellant has been made to suffer huge financial loss without being heard. Fair play in action warrants that no such order which has the effect of an employee suffering civil consequences should be passed without putting the concerned to notice and giving him a hearing in the matter. Since, that was not done, the order (memorandum) dated 25-7-1991, which was impugned before the Tribunal could not certainly be sustained and the Central Administrative Tribunal fell in error in dismissing the petition of the appellant." "18. We, therefore, agree with the High Court that the imposition of the maximum limit for the disbursement of grants-in-aid to the respondents was arbitrary and unjustified in the facts of the present case. As mentioned above, the respondent-schools are recognized, aided and are under deep and pervasive control of the State Government. The Government is under an obligation to provide the grants-in-aid to the respondent-schools as envisaged under the scheme of the Rules. The High Court has directed the State of Himachal Pradesh to pay 95 per cent grants-in-aid with effect from February 1988. The High Court judgment was delivered on 9-9-1992. We modify the High Court judgment to the extent that the enhanced grants-in-aid be paid to the aided schools with effect from 1-4-1993." "9. Tested on the touch stone of the principles laid down in the aforementioned decisions, the position is manifest that there is no justification for denying the claim of the respondents for parity of pay scale and to accept the contention of the appellants will amount to confirming the discriminatory treatment against the respondents. Therefore, the High Court rightly rejected the case of the appellants. The directions issued in the impugned judgment to pay the respondents 1 to 12 the same salary as is being paid to their counterparts in the privately managed Government aided schools in Chandigarh in the circumstances is unassailable." "10. Coming to the contention of the appellants that the Chandigarh Administration will find it difficult to bear the additional financial burden if the claim of the respondents 1 to 12 is accepted, we need only say that such a contention raise in different cases of similar nature has been rejected by this Court. The State Administration cannot shirk its responsibility of ensuring proper education in schools and colleges on the plea of lack of resources. It is for the authorities running the Administration to find out the ways and means of securing funds for the purpose. We do not deem it necessary to consider this question in further detail. The contention raised by the appellants in this regard is rejected. It is, however, clarified that the proportion in which the additional burden will be shared by the Chandigarh Administration and the Management of the School will be in accordance with the Grant-in-aid Scheme applicable to the school from time to time. The judgement of the High Court that the sharing of the financial burden will be in the ratio of 95% to 5% is modified accordingly." On perusal of the said judgment which appears that parity of pay is to be maintained. "13. We are conscious that even in the absence of statutory provision, normal rule is "no work no pay". In appropriate cases, a court of law may take into account all the facts in their entirely and pass an appropriate order in consonance with law. The principle of "no work no pay" would not be attracted where the respondents were in fault in not considering the case of the appellant for promotion and not allowing the appellant to work on a post of Naib Subedar carrying higher pay scale. In the facts of the present case when the appellant was granted promotion w.e.f. 01.01.2000 with the ante-dated seniority from 01.08.1997 and maintaining his seniority along with his batchmates, it would be unjust to deny him higher pay and allowances in the promotional position of Naib Subedar." "23. We are in complete agreement with the approach adopted by the High Court in the aforesaid judgment of deprecating such artificial breaks to deny the benefit to an employee, more so a teacher. We cannot lose sight of the fact that security of tenure for a teacher, who dedicates her life for education of the students, is of utmost importance. Insecurity should not be created in the employment of such Lecturers or teachers, more so when they are through a process of really subterfuge of giving artificial breaks. Another plus point is that his artificial break is also the result of a change in the educational curriculum. It is really a matter of internal adjustment arising from the change in curriculum and the appellant has been in continuous service for two decades, but for this one day break. This is how it has been really understood by the college and by the State government, as they have given pension to her which is admissible after 20 years of service." "24. We are also of the view that his issue has been receiving attention and has been agitated before different authorities and the alleged delay in filing the writ petition cannot stand in the way of the appellant getting the benefit for services. The relevant pay scale will entitle her to the emoluments which were admissible to her for work already performed." "25. We, thus, unhesitatingly conclude that the appellant is entitled to be treated in the pay scale of Rs 700-1600 and is entitled to all the benefits of the Resolution dated 27-11-1991." "26. We, thus, direct the respondents to calculate the emoluments due to the appellant in the aforesaid terms within a period of three months from today and remit the same to her within the same period of time. In the peculiar facts, we are not granting any past interest in this case, but in case of any delay beyond three months, interest would be admissible on the amount due and payable to the appellant @ 12 per cent per annum, simple interest." "7. To summarise, normally, a belated service related claim will be rejected on the ground of delay and laches (where remedy is sought by filling a writ petition) or limitation (where remedy is sought by an application to the Administrative Tribunal). One of the exceptions to the said rule is cases relating to a continuing wrong. Where a service related claim is based on a continuing wrong, relief can be granted even if there is a long delay in seeking remedy, with reference to the date on which the continuing wrong commenced, if such continuing wrong creates a continuing source of injury. But there is an exception to the exception. If the grievance is in respect of any order or administrative decision which related to or affected several others also, and if the reopening of the issue would affect the settled rights of third parties, then the claim will not be entertained. For example, if the issue relates to payment or refixation of pay or pension, relief may be granted in spite of delay as it does not affect the rights of third parties. But if the claim involved issues relating to seniority or promotion, etc., affecting others, delay would render the claim stale and doctrine of laches/limitation will be applied. Insofar as the consequential relief of recovery of arrears for a past period is concerned, the principles relating to recurring/successive wrongs will apply. As a consequence, the High Courts will restrict the consequential relief relating to arrears normally to a period of three years prior to the date of filing of the writ petition." We respectfully concur with these observations which if extrapolated or applied to the factual matrix of the present case would have the effect of restricting the claim for pension, if otherwise sustainable in law, to three years previous to when it was raised in a judicial forum. Such claims recur month to month and would not stand extinguished on the application of the laws of prescription, merely because the legal remedy pertaining to the time-barred part of it has become unavailable. This is too well entrenched in our jurisprudence, foreclosing any fresh consideration." Education and Universities - Employment and Service Matters re Educational Institutions - Non-Academic Staff/Other Staff/Workmen - Power of State to regulate service conditions of non-teaching staff in unaided affiliated colleges - Pay -Revision - Classification for - Non-Teaching Staff of aided and unaided Colleges affiliated to Universities treated differently - Held, discriminatory. Constitution of India- Art. 14 - Classification- Discrimination-Remedial measure by Court instead of invalidating impugned law - Court by positive remedial action should eliminate factors which create discriminatory classification, instead of necessarily invalidating legislation or subordinate legislation as a whole, more so where object sought to be achieved is implementation of directive principles. "83. The doctrine of equality has many a facet. Law laid down by this Court on the interpretation of Article 14 in the last 70 years illuminated some of them. In a series of judgments commencing from E.P.Royappa v. State of T.N. [(1974) 4 SCC 3: 1974 SCC (L&S) 165], the orientation of this Court in dealing with Article 14 has been dynamic. Mathew, J. in his dissenting judgment in Bennett Coleman & Co. V. Union of India [(1972) 2 SCC 788, pp. 844-45, paras 161-162] very precisely identified the question, which this Court should address while interpreting Article 14 : (SCC p.844, para 162)." "162. The crucial question today, as regards Article 14, is whether the command implicit in it constitutes merely a ban on the creation of inequalities by the State, or, a command, as well, to eliminate inequalities existing without any contribution thereto by State action. The answer to this question has already been given in the United States under the equal protection clause in the two cases referred to, in certain areas. The US Supreme Court, in effect, has began to require the State to adopt a standard which takes into account the differing economic and social conditions of its citizens, whenever these differences stand in the way of equal access to the exercise of their basic rights. It has been said that justice is the effort of man to mitigate the inequality of men. The whole drive of the directive principles of the Constitution is toward this goal and it is in consonance with the new concept of equality. The only norm which the Constitution furnishes for distribution of the material resources of the community is the elastic norm of the common good [see Article 39 (b)]. I do not think I can say that the principle adopted for the distribution [of newsprint] is not for the common good." "65. That is the end of the journey. With the expanding horizons of socio- economic justice, the Socialist Republic and welfare State which we endeavour to set up and largely influenced by the fact that the old men who retired when emoluments were comparatively low and are exposed to vagaries of continuously rising prices, the falling value of the rupee consequent upon inflationary inputs, we are satisfied that by introducing an arbitrary eligibility criterion: „being in service and retiring subsequent to the specified date‟ for being eligible for the liberalised pension scheme and thereby dividing a homogeneous class, the classification being not based on any discernible rational principle and having been found wholly unrelated to the objects sought to be achieved by grant of liberalised pension and the eligibility criteria devised being thoroughly arbitrary, we are of the view that the eligibility for liberalised pension scheme of „being in service on the specified date and retiring subsequent to that date‟ in impugned memoranda, Exts. P-1 & P-2, violates Article 14 and is unconstitutional and is struck down. Both the memoranda shall be enforced and implemented as read down. ... Omitting the unconstitutional part it is declared that all pensioners governed by the 1972 Rules and Army Pension Regulations shall be entitled to pension as computed under the liberalised pension scheme from the specified date, irrespective of the date of retirement. Arrears of pension prior to the specified date as per fresh computation is not admissible. Let a writ to that effect be issued. But in the circumstances of the case, there will be no order as to costs." "87. When Mathew, J. declared that Article 14 interdicts the State from creating inequalities, he was stressing the obvious. Further, he articulated the remedial measures the State has been enjoined to take recourse to: eliminate the existing inequalities through positive-affirmative action, rather than passive neutrality." "88. What is the remedy open to the citizen and the corresponding obligation of the judiciary to deal with such a situation, where the inequalities are created either by the legislation or executive action? Traditionally, this Court and the High Courts have been declaring any law, which created inequalities to be unconstitutional, but in Nakara's case [D.S.Nakara v. Union of India, (1983) 1 SCC 305: 1983 SCC (L&S) 145] this Court realised that such a course of action would not meet with the obligations emanating from a combined reading of the directive principles and Article 14. Therefore, this Court emphatically laid down in Nakara‟s case42 that it is possible to give an appropriate inductive relief by eliminating the factors, which creates the artificial classification leading to a discriminatory application of law." "89. Though this Court is not bound by the law declared by the municipal courts of other countries, this court in the last 70 years always examined with due regard decisions of the American Supreme Court on questions of constitutional law. In a comparable situation, American courts did exercise jurisdiction by granting appropriate injunctive orders compelling the State to comply with the constitutional mandate by ignoring the legislative command and extending the benefit provided under a legislation to a certain class of people who were expressly excluded from receiving that benefit provided by the legislation. (See Plyler v. Deo 43, )". "97. Even otherwise, if the appellants are obliged under law, as we have already come to the conclusion that they are in fact obliged, it is for the appellants to work out the remedies and find out the ways and means to meet the financial liability arising out of the obligation to pay the revised pay scales." "98. In the result, the appeals being devoid of merit are dismissed with no order as to costs." 18. After hearing the submissions advanced by the learned counsels for the parties as well as considering the petition, the affidavits before us and the laws laid down by the Hon‟ble Supreme Court as referred above, it is clear to us that sudden withdrawal of allowances of the teachers/petitioners is really shocking and we find the decision of the Government is totally unjustified and arbitrary in nature and is against Article 14, 15, 39(d) of the Directive Principles of State Policy of the Constitution of India which is not at all appreciated and for which we express our extreme displeasure and anguish. The UGC guidelines did not debar any person who is getting UGC Scales of pay from getting the State allowances also. We also reiterated earlier that teachers are the backbone of the society and they need to be cared and respected by all. In the decisions discussed above, Hon‟ble Supreme Court also in one of the judgment expressed the same view. It is also apparent to us that this instant petition is not hit by delay and laches as laid down by the Hon‟ble Supreme Court that when the wrong is continuous or when it does not affect the rights of third parties, relief to be granted. i) No. FPC.5/2010/154, dated Dispur, the 11th May, 2010 issued by Government of Assam, Finance (Pay Research Unit) Department, Dispur, Guwahati-6. ii) No. PSC-R(B) 07/2015, dated Itanagar, the 3rd August, 2015 issued by Arunachal Pradesh Public Service Commission, Itanagar. iii) No.EDN-A-Kha(15)13/2010, dated 17th March, 2012 issued by Government of Himachal Pradesh, Higher Education Department (Hr. Education - A- Section), Shimla-2. iv) No.EDS/HTE/24/91(pt), dated Kohima the 24th August, 2010 issued by Government of Nagaland, Department of Higher and Technical Education, Nagaland, Kohima-797004. v) No.I-HE-UA-5/2009.34492/HE, dated the 14th December, 2009 issued by the Government of Orissa, Department of Higher Education. vi) No.533-Edn (CS) 5P-52/98, dated Kolkata, the 28th August, 2009 issued by the Government of West Bengal, Department of Higher Education, C.S.Branch, Bikash Bhavan, Salt Lake, Kolkata-700 091.
vii) GO.No. ED 96 DTE 2010, dated 07th March, 2011 issued by the Government of Karnataka. viii) No.G.12017/6/2009-HTE, dated Aizawl, the 25th Nov, 2010 issued by the Government of Mizoram, Higher & Technical Education Department. From the above Notifications and Government Orders, it is also clear to us that in other States teachers who are getting UGC Scales of pay are also getting State allowances as referred above. 19. After considering all these Notifications and Government Orders, we find that Govt. of Meghalaya is an exception and it appears further to us that instead of thinking about the social security of the teachers and other benefits, they are just taking an adverse decision always which cannot be allowed and is unacceptable by law. Therefore, we are compelled to set aside letter No. CE/MCTA/1/98/123, dated 6th August, 2002 (Annexure- 10 to the writ petition) issued by the Joint Director of Higher & Technical Education, Meghalaya, Shillong. Accordingly, Annexure-10 to the writ petition is hereby set aside. 20. From the above observations of Hon'ble Supreme Court it is also clear that once the allowances and other benefits and facilities are allowed to teachers or any other employee, it cannot be withdrawn or reduced. Therefore, the question of recovery which was adopted by the Government goes against the principle of natural justice of law. 21. For the reasons discussed above, we hereby direct the State respondents to return the recovered allowances which were paid earlier to the teachers and also to restore all the said allowances as enjoyed by the government college teachers from the date since it was stopped. We further also direct the State Government to give their increment and other benefits as and when it is due. 22. With these observations and directions, the instant petition is allowed and stands disposed of. It is further directed that the whole exercise is to be completed within 45(forty five) days from the date of this judgment and order.